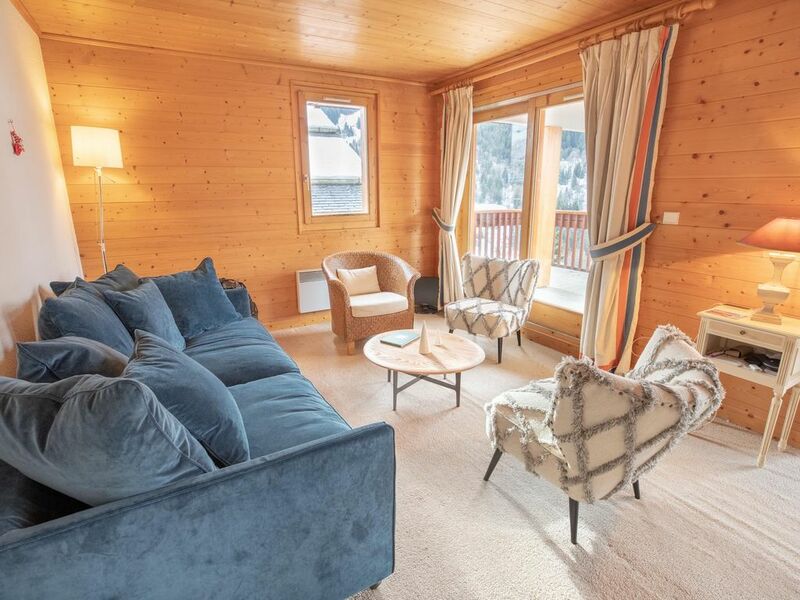 In the Cybèles residence in Meribel Centre, this nice apartment can host up to 7 people, 500m from the pistes ! The apartment is located in the Cybèles residence in Meribel Centre, 500m away from the pistes and less than 50m from the bus stop. There is two bedrooms: the first one with bunk beds, plus one single bed you can pull, and an en-suite bathroom with shower. The second one has a double bed and a bathroom with bath. Careful, the apartment is old. It will refurbished during 2019 summer so don't expect it to be premium. It offers a really good deal regarding price / capacity and location but it is not top of the range. The carpet is old and there are some marks. Bunk beds are not premium but the double bed is very comfy. There is two private indoor car park. Easy access to the pistes : climb 5 stairs with the elevator, and walk down 500m to the Tourisme Office where an escalator leads you to the pistes. After booking this apartment, we can provide you ski passes and ski hire. Fabrice, Adrien, Bruno and the Méribel Conciergerie team are available by telephone, text or email whenever you need them! To make your stay one of the most pleasant! Méribel Center is the geographical heart of the Valley, and main hamlet because of the size and the services which are there. This is the ideal place for your holidays if you want to have all the services at your fingertips! Méribel Center is the ideal area if you want a lively après-ski! There is a wide choice of bars and restaurants. The ski pistes are 500m walking distance from the apartment. You can also take the free shuttle, the bus stop is less than 50m away. Everything was as we hoped it to be. Lovely week.